Jeanne Brooks-Gunn is the Virginia and Leonard Marx Professor of Child Development at Columbia University’s Teachers College and the College of Physicians and Surgeons. She also co-directs the National Center for Children and Families, a center devoted to research, policy, and practice. Dr. Brooks-Gunn’s specialty is policy-oriented research focusing on family and community influences upon the development of children and youth. Her books on these topics include Consequences of growing up poor; Escape from poverty: What makes a difference for children? ; Adolescent mothers in later life; and Neighborhood poverty: Context and consequences for children. She also designs and evaluates interventions aimed at enhancing the lives of children and youth, including home visiting programs for pregnant women and new mothers, early childhood education programs for toddlers and preschools, two generation programs for young children and their parents, and after school programs for older children. A life span developmental psychologist, she also conducts research on transitional periods focusing on school, family and biological transitions in childhood, adolescence, and adulthood. She is interested in the factors that contribute to well-being and changes in well-being over the life course. She has conducted several large scale birth studies where pregnant women or new mothers are followed, with their children, through life. Her books on these topics include Adolescent mothers in later life and Girls at puberty: Biological and psychosocial perspectives. 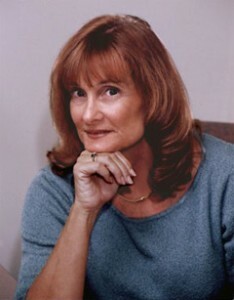 Dr. Brooks-Gunn has been the recipient of several honors: the Harvard University Graduate School of Education Alumni Council Award, election into the National Academy of Education, election into the National Academy of Medicine; Honorary Doctorate of Science at Northwestern University; Distinguished Contributions to the Public Policy for Children Award from the Society for Research in Child Development; Margaret Mead Fellow Award by the American Academy of Political and Social Science; James McKeen Cattell Fellow Award from the American Psychological Society; Distinguished Contributions to Research in Public Policy Award from the American Psychological Association; and the John P. Hill Award for excellence in theory development and research on adolescents from the Society for Research on Adolescence.